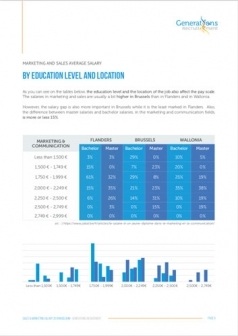 Our report is based on our 10 years of experience with clients (mostly in FMCG) all around Belgium and more than a thousand job missions! To remain competitive your company should offer a salary aligned with the market along with the relevant extra advantages! To recruit the best candidates on the market and reward the loyalty of your current employees, you should be aware of the pay scale in your sector and your country. A knowledge of this information isn’t just useful for your company and your business, it can also be a key success factor for your own career development! 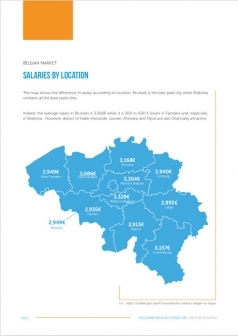 Generations Recruitment is a Brussels-based recruitment agency specialised in Sales & Marketing profiles. 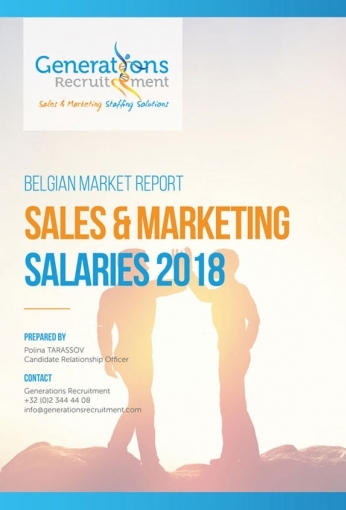 Download our report on pay scale in Marketing and Sales in Belgium!